View cart “Robert Rich & Markus Reuter: Lift A Feather To The Flood (CD)” has been added to your cart. Robert Rich: Live at the Gatherings 2015 (2CD) is the result of the ideal match of performer, venue and audience. It was recorded live in Philadelphia’s St. Mary’s Church to an appreciative audience. Robert Rich performed undulating passages that featured synth strings, synth voice, lap steel guitar, percussion and a PVC tube flute of his own creation. He created music that was as much about the space between the sounds as the sounds. The performance allowed genres to dissolve tastefully as he explored ambient, minimalist and modern classical. This was an evening for contemplative, personal music that was shared. Only in such a reverent space, with such an apt audience could you capture this recording. Robert Rich: Live at the Gatherings 2015 is a remembrance for those who attended, and a gift for those who couldn’t. This double CD features the complete concert, its sequence and encore (without any performance edits or overdubs), and has been split at an appropriate point so as to fit its content onto two discs. 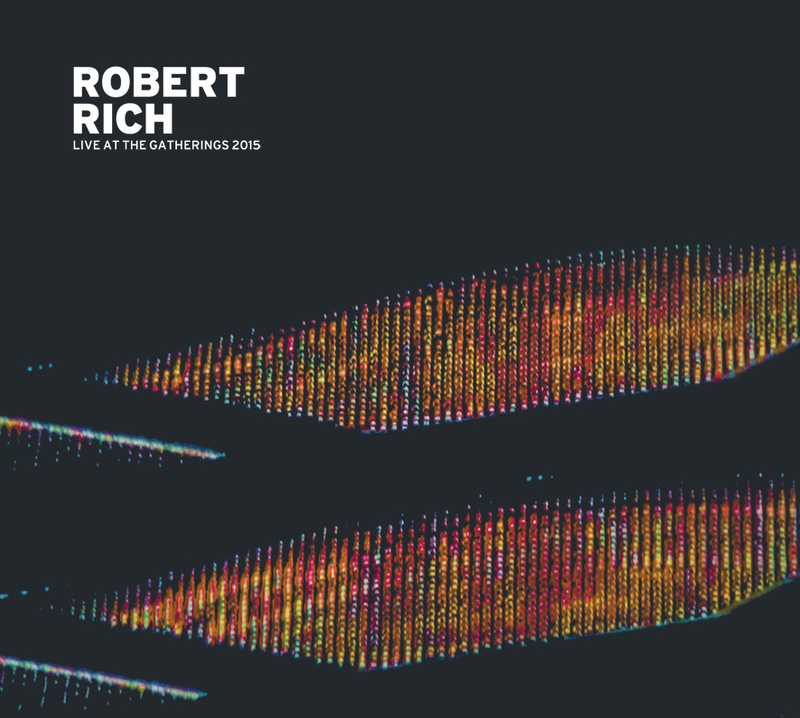 All music contained herein was realized live in concert by Robert Rich on 11 April 2015 as part of The Gatherings Concert Series at St. Mary’s Hamilton Village in Philadelphia, PA.